My Story and How It Can Help You Lose Weight Fast. So, yeah, I used to be pretty chubby. Like 240 lb of flab, chubby. The before picture below was me at age 20; too embarrassed to ever be seen without a few layers of clothing on. I remember the moment I hit rock bottom. It was in gym class back in 2002, and the Omron body fat tester told me everything I already knew – I was fat. The reading came up at 35% body fat – the worst score among the guys in the class. That moment told me I needed to change, but I didn’t actually do anything at first. That was until my brother Caleb came home with a massive bag of protein powder and Arnold Schwarzenegger’s Pumping Iron on DVD. Knowing my younger brother was getting in shape inspired me to do the same. I told myself if I didn’t follow suit, I’d have to quit playing video games for a year (a BIG deal to me at the time) and wrote a sticky note on my computer monitor to blackmail myself to stick to it. Sure enough, I eventually got lean, and now, 14 years later, I’m still doing my thing and coach others to do the same. 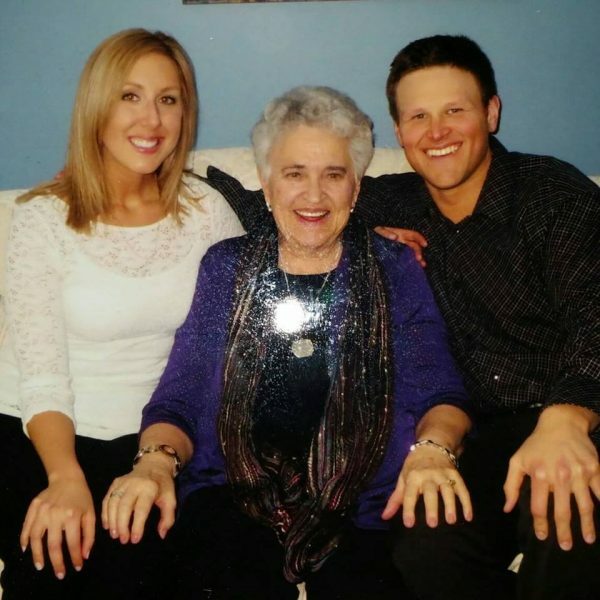 You can my past client success stories HERE. P.S. Local to Winnipeg? I run a private personal training studio out of my Man Cave in the heart of Westwood, St. James. Now I love fitness and the pursuit of a better body, mind and spirit, but the motivation isn’t always there to kill a workout. But when you establish the habit of exercise, there’s nothing stopping you. You then make the choice to eat healthier as well, and it cascades into healthier choices throughout. But you don’t have to be ALL IN or ALL OUT. A “fun” meal can certainly fit into a healthy lifestyle. The problem with most people who start and fail is they see momentary lapses in judgment or missed workouts as major setbacks, when really they are just small speed bumps. And so, years later, I reflect on what fitness has done for my life and I want the same for you. The first 21 years of my life were pretty “meh.” I didn’t accomplish much. I had little ambition to go after what I truly wanted in life. Fitness changed all that. Fitness gave me the confidence to pursue my goals and make a real impact. But, let’s not sugarcoat it: If you’re ready to slay the weight loss dragon and get in shape for good, you’re going to have to work for it. if you’re ready to go all in and have genuine interest in your own Mansformation, fill out a quick application and I’ll follow up with you. It takes hard work to pass on that second piece of cake and go for a walk instead. It takes hard work to pass on that box of donuts making the rounds at the office and opt for your bagged lunch instead. It takes hard work to get up and go to the gym on a cold winter’s morning. It’s not just the physical exertion, but the mental fortitude that’s required to overcome a constant barrage of obstacles and get in your best shape possible. But the success here parlays into success in your family and career life. Many a career has been advanced by first adopting a fitness regimen. You’ll be an active parent, not a spectator. Exercise has a host of benefits (but you already knew that), can boost your cognitive capabilities (brain grey matter!) and reduce stress. Ultimately, losing considerable weight involves not just a short term goal but a long term focus with a mental change. Don’t see your weight loss goal as something you can achieve in 30 or 60 days and then go back to your old habits. You need to become the person you envision in every way if you want this for life. Just to be completely frank, I haven’t gotten close to learning all there is to know about health and fitness. There are plenty of gray areas when it comes to diet, training or otherwise. What one person can do to get a six pack, another simply cannot. Same goes for exercise selection in the gym. That’s what makes it such a fun challenge to get results for individuals of all levels. I’m a certified personal trainer with a B.A. in communications who has been featured on T-Nation, EliteFTS.com, STACK.com, and was ranked as one of the top 10 fitness blogs by BreakingMuscle.com. But, more importantly, I have a wife, Brittany, a daughter, Quinn, and a loveable cat named Chelsea who is affectionately known as Boobie. (Yes, she’s understandably confused). 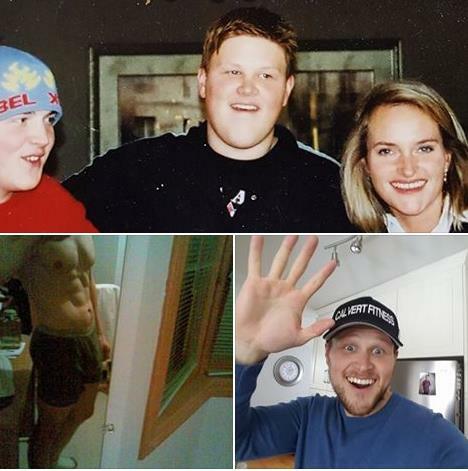 I discovered my love for fitness while slaving away as a 240 lb, obese line cook 13 years ago (read my story below) and have dedicated the last 5 years to helping guys with 50+ lbs to lose shed the fat for good and get in the best shape of their lives. Get instant access to my FREE Diet Secrets Guide. Past participants lost 5 to 12 pounds.